On June 22, the first cohort of 25 students, all recent graduates from Kea‘au High School in Puna who will start their freshman year the University of Hawai‘i at Hilo or Hawai‘i Community College this fall, started in the Kupa ʻĀina 2014 Summer Bridge Program. Program participants are enrolled in college-level English and Math courses, earning college credit through a rigorous schedule of study for six weeks. The students have full access to advising, counseling, and tutoring. A partnership between UH Hilo, Kamehameha Schools, Keaʻau High School, UH Hilo, and the UH Foundation has brought about this exciting new summer program designed to prepare new local students interested in pursuing studies in science, technology, engineering and mathematics—the STEM disciplines—and natural resources fields. 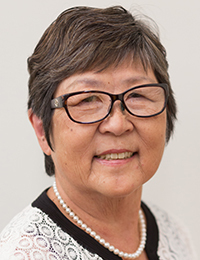 Program funding comes from a $158,154 grant from the Kamehameha Schools Extension Education Services Division and a $5,000 grant from the Gloria Kosasa Gainsley Fund at the Hawai‘i Community Foundation. Their support will fund participants’ room and board, transportation, supplies, as well as staff and teaching assistants to implement the program. I’d like to share with you a few major accomplishments of the last academic year at the University of Hawai‘i at Hilo. We opened three new buildings, providing students with the best learning environments. Last August, we celebrated the opening of Hale ʻAlahonua, the new student housing complex. The $32.5 million three-story structure houses approximately 300 students, increasing on-campus housing by more than 30 percent to about 900 students. The complex provides a supportive environment for our students to learn about each other and about themselves and to live a balanced life while they learn. It gives our students a sense of community, a solid support system among peers to help them through the challenges of their academic careers. Haleʻōlelo, the new building for the College of Hawaiian Language, opened earlier this year. The $21 million, two-story complex has a performing arts auditorium, classrooms, library, media resource room, computer lab, meeting rooms and offices. This building represents, to the members of UH Hilo, our dedication to being a Hawaiian university and all of the meanings of those words; a university where you can learn all subjects in Hawaiian, a university where Hawaiian language and values inform what we do. Our new Student Services building is open. The $16 million three-story structure consolidates all the activities needed to become a full-fledged student at UH Hilo: admissions, registrar, financial aid, cashier, advising, career development, disability services, counseling, the women’s center and the new health promotion program. The vice chancellor for student affairs and the dean of students also have their offices here. We received welcome news at this year’s legislative session: final agreement on a proposal to fund a new $33 million building for the Daniel K. Inouye College of Pharmacy. Funding of the building, which will house teaching and research of importance to the whole state, will allow the college to move forward without jeopardizing accreditation. This project has been a collective effort from the very beginning and I want to thank everyone at the Chamber who worked hard to make this outcome possible. We celebrate two academic programs that have changed from provisional to established status. Graduates with a bachelor of science in marine science are pursuing jobs and careers in marine conservation, ecotourism, aquaculture, state and federal government agencies, non-profits, education and outreach, environmental law, medicine and academia. Graduates with a master of arts in indigenous language and culture education are becoming teachers for Hawaiian language medium schools and graduate level education in Hawaiian, and are also producing important research. We also celebrate two new benchmarks. As of this month, our master’s program in conservation biology and environmental science has graduated 100 students in 10 years, and over 340 doctorates have been awarded by UH Hilo. UH Hilo had a strong presence at this year’s Ka Palapala Po‘okela Awards, an annual event where the Hawai‘i Book Publishers Association honors the best books published in Hawai‘i. Mark Panek, professor of English, won the Award of Excellence for his Hawaii: A Novel. Kerri Ingliss, associate professor of history, received honorable mention for Excellence in Hawaiian Language, Culture, and History for her book Mai Lepera. And Alohalani Housman, associate professor of indigenous education, received honorable mention for Excellence in Illustrative or Photographic Books for Ke Ao Nani: He Puke Hua‘ōlelo 1000. I’ll close these highlights with some exciting news about Vulcan athletics: UH Hilo’s men and women’s golf teams won the PAC West Championship with teams of all Hawai‘i athletes. Go Vulcans!